This thread is for discussing about niche mobile games in general. Typically these are Japanese only games but newly global release or other foreign games are allowed to be discussed here if there is no OT. Gacha system refers to Gachapon in general. Using in-game currency to roll for a chance for something that can be beneficial to your gaming experience (or ruin it). Mobage is the short form of "mobile game" as pronounced in Japanese. About which games can I talk about? General discussion about mobile gacha game is encouraged. Share your impressions on new and upcoming games, tips, tricks, fanart or even your opinions on the “genre” itself. Check out the list of other gacha games that have their |OT| below! Where can I obtain Foreign games? For iOS users, creating a new account and make sure the country region is set to whatever country the app is downloadable from. For Android users, changing your VPN connection or using applications such as Qooapp. Emulators simulate an android device on your PC. Each emulators have their strength and weaknesses, so it’s recommended to try multiple emulators. Not all games work on every emulator. Notable emulators that are recommended to use are Bluestacks, Nox, and Memu. Terra Battle 2 |OT| All Hail t... Hello? Naruto Shippuden: Ultimate Ninja Blazing |OT| Shadow Mobile Jutsu! If you want to add your |OT|, feel free to pm me and I'll update the list. Think i got everything I want out of animal crossing mobile in like 30min lol. 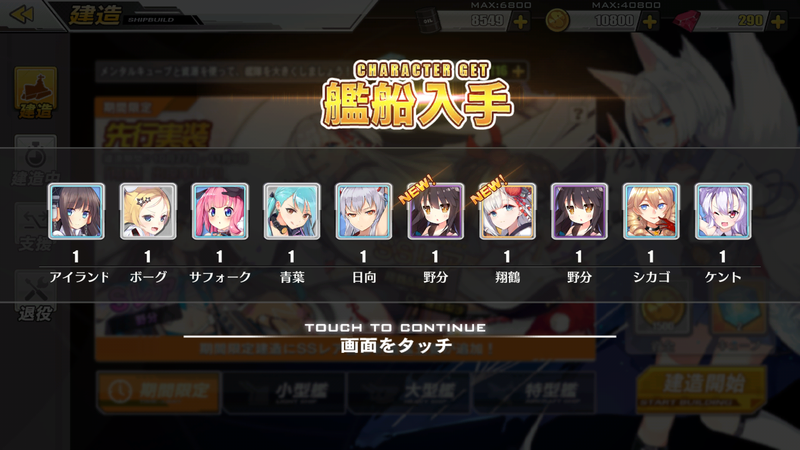 I escaped Kancolle only for Azur Lane to come into my life. I'm doomed. I wish the community was big enough to justify an OT since I want to make one. We must recruit more for the cause. "Japanese" in thread title is misspelled. Welp that's a fail, requested a title change. Currently playing Tales of the Rays. I've got Duel Links and Animal Crossing installed as well but they're more casual. 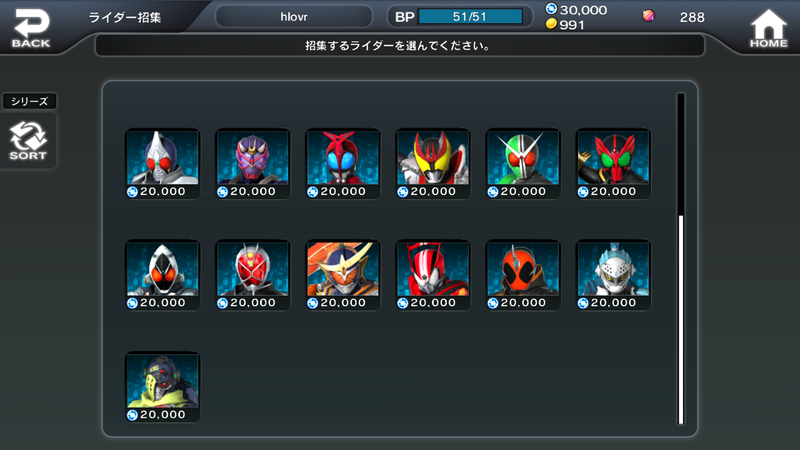 It's nice to have the Japanese Gacha OT back. Thanks for creating it! Yes, I'll be here a while. The gacha has my wallet, and will not let me leave. Only a truly cultured man is capable of playing both at the same time. Hey, guys! Great to see you're back up on your feet! I'll probably keep the Discord open a bit longer, say a week or so, until we can be sure that most of the people coming over are, in fact, over. ^^ Then, you can decide what you want to do next! Been playing Digimon Heroes. Main thing I like is that it's pretty generous with it's pulls. There's 7 pools and only one requires the premium currency, on top of that they give you a free pull a day from the premium pool. Everything else is kinda eh, no exp from battles, leveling dudes up is a pain, box contains things that should really be items, gameplay part is just card matching, graphically speaking it's just static jpegs. 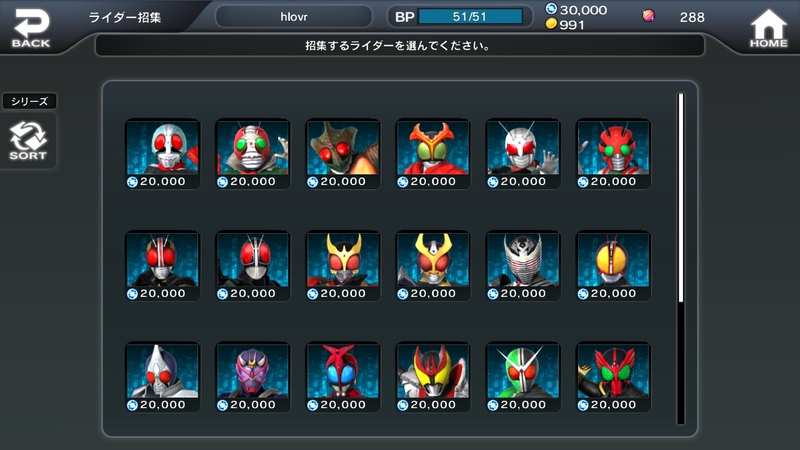 New Kamen Rider game have launched. Kamen Rider City Wars. Can't say about iOS, but it's already on QooApp for android. It uses a tales of rays reminiscent gacha, where you don't roll for characters, you roll for thier skills. Characters are spawned using other currency. Granted I've yet to find reliable way to get more of it, but still, you can spawn your favorite from the get go. Picture is missing build and Ex-aid (latter costed 0 as a freebie) since I spawned them already. Wait, animal crossing is out? I was pretty hyped for the game, but I really am not feeling it anymore. I played a tiny bit on an emulator but wanted to wait for the proper release. But honestly, I am not sure if it releases in the next 2 weeks if I even want to play it anymore. I'm still playing Yokai Watch Wibble Wobble, but thinking about knocking it on the head. The gacha system is awful, and the latest events rely on pulling very rare characters or items to even have a chance at obtaining the more powerful event Yokai, which are only ever available for a limited time. Not fun. I'm gutted because I honestly feel like it is one of, if not the, best mobile games ever, and I have dedicated an unholy amount of time to it. My hype for it has lessened too, but I'm sure things will pick up for me if/when the Global version actually releases. I'm right with you too, in not being able to enjoy the game through an emulator on my PC. I'm basically just logging in for daily rewards, doing my free pulls, and that's about it. If they don't release in the first part of November, especially after it being in soft-launch mode for as long as it has been, people will not be happy. I will be among them. Thanks, might check it out! Is it battery intensive?? It seemed average to me. Besides that, the game is designed to play in very short bursts so it doesn't really get a chance to assasinate your battery anyway. I'm finally free from 6-4, just in time for the event tomorrow! Took me a total of 43 runs to get her to drop. Glad to see a lot of familiar faces from the previous thread. Welcome everyone! 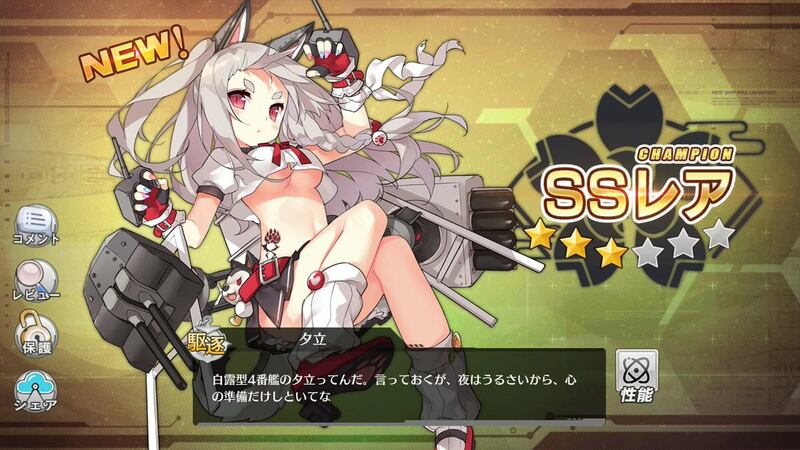 Everyone I know that plays Granblue is moving onto Azur Lane. That game must be really good. anybody in JP destiny's child closed beta? I hope Japanese version is different from Korean. If not it will be too grindy to play. How fun is to setup autobot (in game) for a night to just level a bit your characters? Why even play? Most korean mobage are like that and its hard to enjoy the process. Seven Knights 2? OMG. I would try kr ver. of course. Interesting to see what did they change. However Seven Knights 1 is very grindy and required a 3rd party bot (in game bot later) to grind characters and free gems to enjoy playing it as f2p. It just a resource management game in the end. All battles are auto where you can program character skills with in game bot. 3rd party bot also could swap max level characters to level next batch for free gems. Typical Korean grindfest mobile game. Might be different though since they're changing the genre for the game into a MMORPG. Here's a teaser for it. Played for a good hour+ so far. Game is really fluid and seems polished. Unfortunately, haven't played enough KR version to compare them both. 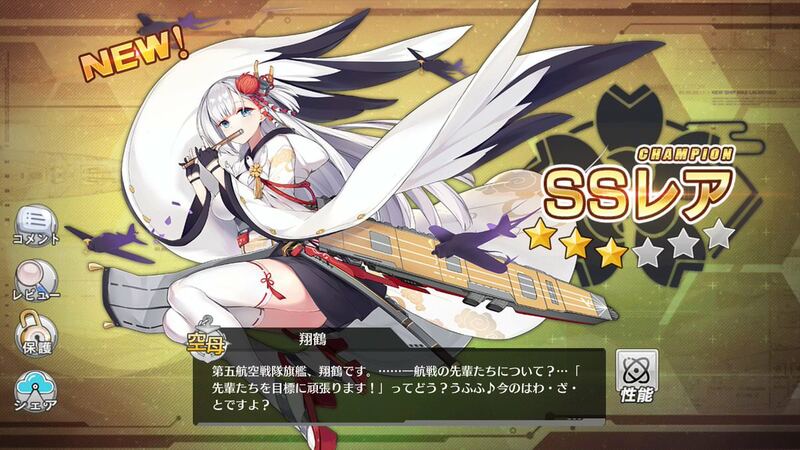 I know there are subtle changes though, like a pull being 200 gems instead of 270.
bleh crafted zuikaku instead of shoukaku in azur lane, and out of gold. 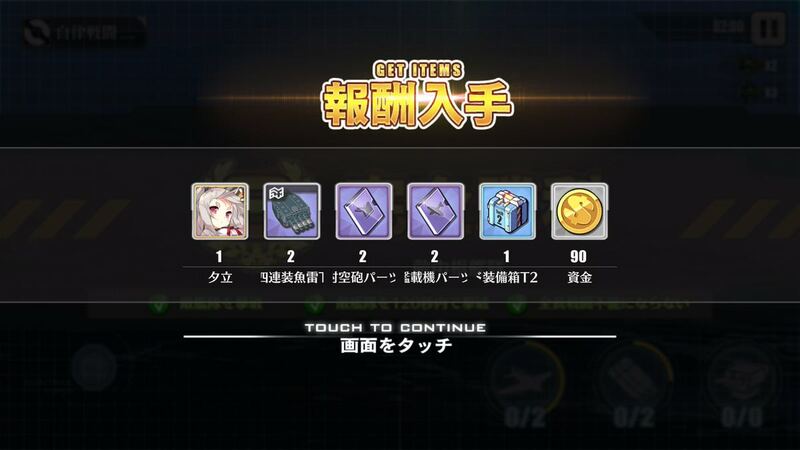 On the other hand, I managed to get Shoukaku but no Zuikaku. That's why I'm not too fussed. Plus, there's plenty of days left to craft duplicates of both. 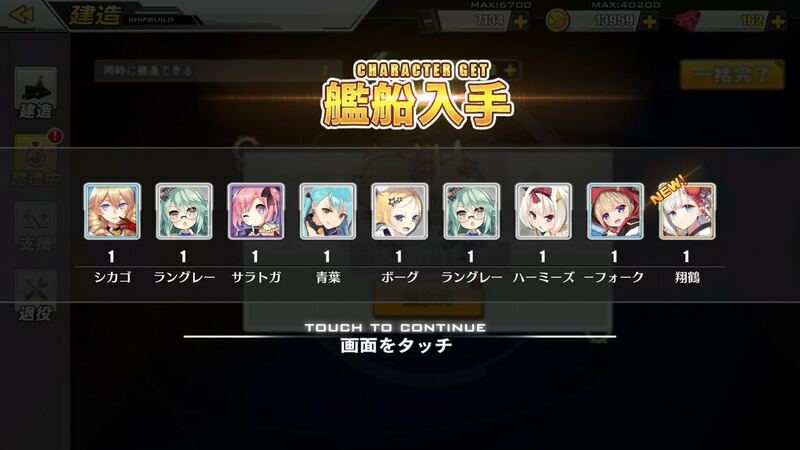 All of you people playing Azur Lane. I don't blame you, it looks like a lot of fun. Speaking of fun, you know what isn't? Waiting for Gumi to get off of their asses and release the Alchemist Code Globally. I know, it won't happen now until the pre-registration ends, but I swear if they delay it beyond that I very well might just give up entirely. Each day my hype for it drops, and the closer it gets to the holidays (and the events in-game for the games I DO play), the less want I'll have to play/start another one. This soft-launch is soul-crushing. My hype died when I saw how buggy UI is. I want waste my time on game that cant even register button input on the 1st try. Sure thing! They just have to release it in English first, and then I'll give it that download! Hey, the menus have English text! T-That has to count, right? 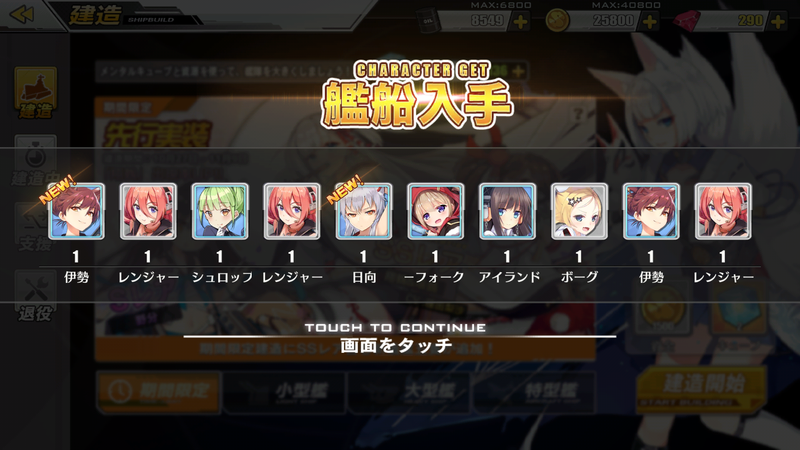 Also, does Azure Lane have english language yet? Or japanese only so far?